With the Mobility 21 Summit almost a month away, don’t miss out on these great opportunities to get noticed at California’s largest one-day transportation event. Not sure about a full sponsorship but want to have an expo booth at the Summit? A limited number of expo spaces are now available for purchase. Click here to exhibit or contact Sara Costin atscostin@mobility21.com. Stand out from the crowd with an ad in the Summit event program, on Mobility 21’s homepage or in the monthly e-newsletter. Click here to advertise or contact Kristin Slocum at kslocum@mobility21.com. Space is limited! Donate a prize to be raffled off during the Summit’s closing session! Your logo will appear on the sponsor slideshow and your company name will be recognized when the prize is awarded. Contact Kristin Slocum atkslocum@mobility21.com to donate a raffle prize. Be sure to register online by Monday, Sept. 30 to order a complimentary Metro TAP card! California legislators voted to approve Assembly Bill 401 (Daly), which provides a framework for statewide design-build authority. Mobility 21 strongly supported this legislation, which is now headed to the Governor’s desk for his signature. If signed into law, AB 401 will provide regional transportation agencies, until 2024, unlimited design-build authority for street, road and highway projects, as well as provide the California Department of Transportation the authority to do ten design-build projects. By extending design-build authority to all regional transportation agencies for an unlimited number of street, road and highway projects, AB 401 clearly recognizes the value design-build has in expediting project delivery, and allowing for cost savings. With the benefits accrued through design-build authority, cost savings can allow additional projects to be built, and further jobs to be created. Existing design-build authority for transportation projects, as outlined in SBX2 4 (2009), is currently set to expire on January 1, 2014. Without the passage of AB 401, this valuable procurement method will be unavailable to transportation projects, delaying and increasing the overall costs of project delivery. Now awaiting the Governor’s signature, Assembly Bill 1222 (Bloom and Dickinson) will provide a path to resolve the dispute blocking federal transit grants from flowing to agencies around the state. AB 1222 creates a limited exemption from Public Employee Pension Reform Act (PEPRA) for transit employees covered under the federal law. Mobility 21 is hopeful that this exemption will facilitate the long-term resolution of this issue and allow the United States Department of Labor to begin certifying the remaining federal grants otherwise owed to other transit agencies, while any litigation is proceeding. Transit agencies in California could lose up to $1.6 billion in federal grant funding for transit projects and services if this legislation is not approved. These losses put thousands of jobs throughout the state at risk, and would severely diminish the ability of local transit systems to provide the mobility services utilized by millions of Californians. The Water Resources Reform and Development Act of 2013 (WRDA) was unanimously approved by the House Transportation and Infrastructure Committee and will now move to the full House for approval. Through this type of water resources legislation, Congress authorizes the U.S. Army Corps of Engineers to carry out its missions to develop, maintain and support our nation’s vital port and waterways infrastructure needs, and support effective and targeted flood protection and environmental restoration needs. Historically, Congress has passed such legislation every two years to provide clear direction to the Administration and the Corps, but no bill has been signed into law since 2007. The California High-Speed Rail Authority is responsible for planning, designing, building and operation of the first high-speed rail system in the nation. 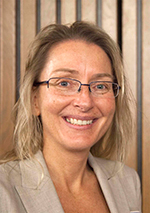 This month we turn our attention to Michelle Boehm, Southern California Regional Director for the California High-Speed Rail Authority. Boehm shares about the status of the California High-Speed Rail project, as well as ways Southern Californians can remain engaged in the process. M21: What’s the current status of the California High-Speed Rail project? MB: Activity on the project is accelerating as we focus on preparing the entire 300-mile Initial Operating Segment (IOS) to follow the Central Valley Section into construction. For the last several months, the Authority has been laying the groundwork for construction in the Central Valley by acquiring properties. What that means is we’re appraising properties, issuing first written offers to property owners, and moving through the negotiations process in order to clear the Right-of Way that the Authority will need for the project. Another big step came on August 16 when the first design-build contract for the California high-speed rail system – Construction Package 1 (CP1) – was executed. CP1 is a 29-mile segment of the Merced to Fresno Section that extends from Madera to Fresno. The contractor, Tutor Perini/Zachary/Parsons, a joint venture, is already preparing for major work on CP1 as part of the design process. This contract, totaling $985 million, is the first of five construction packages that will bring at least 20,000 jobs over five years to the Central Valley. The construction team is mobilizing their project office in the City of Fresno as I write this. Meanwhile, planning and environmental work continues for other project sections. For the Fresno to Bakersfield project section, the Authority is working to finalize the Environmental Impact Report/Environmental Impact Statement (EIR/EIS), and will release the FEIR/EIS in the next few months. Elsewhere in the state we continue to develop the engineering design and environmental studies required to complete the environmental process and select alignments for the entire Phase I System. In fact, continuing south from Bakersfield, the Authority is preparing for one of the most exciting and challenging sections of the high-speed rail system – the Bakersfield to Palmdale project section –will take high-speed rail through the Tehachapi Mountains. The last time a railroad was built across the Tehachapi’s California had only been a State for about 25 years. Accomplishing that feat again to close the passenger rail gap between Northern and Southern California is the type of challenge that makes going to work every morning extremely rewarding. M21: When will Southern California begin seeing benefits of the blended approach to high-speed rail? MB: In less than a decade, high-speed rail is scheduled to arrive in Southern California. The Initial Operating Section (IOS) of the high-speed rail system is anticipated to be operational in 2022. The core of the system, the IOS connects Southern and Northern California by providing non-stop high-speed passenger rail service. In addition, things are already happening today that will lay the groundwork for integrating high-speed rail service with local and regional transit systems across the state. Services like Metrolink, Coaster and the Pacific Surfliner will operate seamlessly with high-speed rail to the benefit of all systems and the traveling public. In fact, the San Diego Association of Governments (SANDAG) was named a U.S. Department of Transportation grant recipient in the latest round of TIGER grant allocations. SANDAG will use the grant money to replace four old rail bridges along the Amtrak Surfliner route to improve safety and reliability of the existing passenger rail system and lay the foundation for timely connections to high-speed rail. A joint letter of support from the Southern California transportation agencies and the Authority accompanied the grant application and this award demonstrates that interagency partnerships and the synergy between the systems increases the chances of local projects receiving grant funding. Other regional rail systems in Southern California are also benefitting from Senate Bill (SB) 1029, which was signed into law by Governor Brown in 2012. SB 1029 allocated funds to strengthen and improve existing rail networks and prepare them for an eventual connection with high-speed rail. A Memorandum of Understanding (MOU) between the Authority and the Southern California transportation agencies and MPO’s targets these dollars for infrastructure improvements that support the implementation of high-speed rail and provide immediate benefits to passenger rail and transit systems across the region. M21: What steps should Southern California be taking today in order to be ready for high-speed rail in the future? MB: There are several key things that we are doing in Southern California to prepare for future high-speed rail. We are working to complete the planning, design, and construction of key projects that will create a safe, efficient, well integrated passenger rail network. Transit and other local and state leaders in California have already been taking steps to ensure that the region is ready for high-speed rail service. 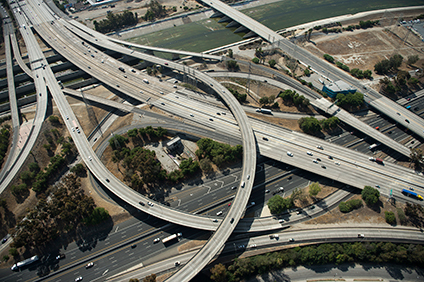 Through the $819 million connectivity fund that is allocated by the CTC the money the Los Angeles Metropolitan Transportation Authority (METRO) needed to complete the funding package for the Regional Connector a nearly $2 billion project were made available. The Regional Connector is the final piece of the transit puzzle in the County linking the Metro Gold, Metro Blue, and Metro Exposition light rail transit systems under downtown Los Angeles. It’s important that we modernize passenger rail rolling stock and the systems that support them. Metrolink will receive $89 million to repower and/or purchase 20 to 30 higher horsepower locomotives, and recondition and improve passenger cars, plus approximately $35 million for advanced signaling system work and the installation of Positive Train Control (PTC). We must lay the foundation for Transit Oriented Development (TOD). And the city of Anaheim is beginning work on the Anaheim Regional Transportation Intermodal Center, which, along with Los Angeles Union Station, will be major stations along the high-speed rail alignment. And continue to work together to attract the largest possible share of available transportation dollars and invest them wisely. Throughout these projects, the Authority is also committed to continuing our partnerships with our regional transportation partner organizations in Southern California to ensure that the local projects and the high-speed rail system continues to move forward. M21: How should Southern Californians remain engaged in the project since the first segment is outside of our region? MB: Our mission is to plan, design, and build a project that best serves the needs of the traveling public and meets all the requirements of our enabling legislation. In order to accomplish this mission we need all Southern Californians to remain engaged in the project development process and in regional efforts to implement a fully integrated rail network. The more people use and support regional rail service and engage with local transportation boards and councils of government the more success we will have bringing high-speed service to the state. I strongly encourage everyone to reach out to me and my staff here in Southern California, and attend board meetings or view them on the Authority’s website at www.hsr.ca.gov in order to follow the development of the project and make your ideas known to the Authority Our October board meeting, for example, will be held at the Metro offices at Union Station in Los Angeles. Or people can simply follow the Authority on social media at facebook.com/CaliforniaHighSpeedRail and follow us at twitter.com/cahsra. Now is a great time to get engaged with the project because a lot is happening, and we are always looking to engage with stakeholders. 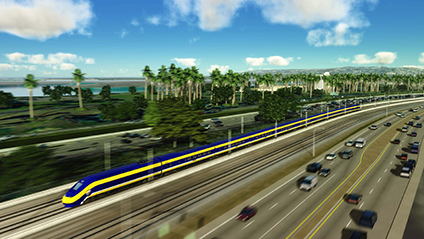 M21: How will high-speed rail change Southern California? MB:The high-speed rail project provides a sustainable solution to address the State’s transportation challenges, reduce greenhouse gas emissions, meet SB 375 goals, and serve our state’s ever-growing population for decades to come. In Southern California, plans for integrating high-speed rail with local transit systems will result in substantial improvements in mobility and an increase in the overall quality of life. It will also provide a connection between Southern and Northern California, creating a host of new opportunities for the state’s economy. In addition, high-speed rail will generate 66,000 jobs annually over the next 15 years as we design and construct the system and will create nearly 3,000 permanent operations jobs throughout the state. It’s an exciting time for a project that is truly going to transform California. HDR is working with Metro on developing a zero-emission freight corridor through the I-710 Utility Relocation Study North Segment project. If there’s one thing we’ve learned in 96 years of doing business, it’s that building and infrastructure projects don’t exist in a vacuum. It doesn’t matter how good a transportation system is if it doesn’t have destinations worth traveling to. It doesn’t matter how good a hospital or college is if the people who need it most don’t have access, forgoing the healthcare or education that could improve their quality of life. Everything we do helps our clients connect people to each other and to the resources that improve their lives, whether it’s through a regional watershed management plan spanning multiple agencies throughout Los Angeles County, sustainable and patient-centered hospitals such as the Replacement Naval Hospital at Camp Pendleton, or supporting our national goods movement through our work with Metro on the Interstate 710 Utility Relocation Study North Segment – a zero-emission freight corridor. We’re encouraged by changes such as the new Envision sustainability rating, which will do for infrastructure what LEED did for buildings and make sustainability a cornerstone, not an afterthought. We’re honored to have the world’s first Envision-rated project, an Alaskan fish hatchery, and proud of our Envision-credentialed staff. We have more Envision credentialed professionals than any other A/E firm. And with funding increasingly scarce, we are encouraged by the advocacy of groups such as Mobility 21, for calling attention to the vital role these interconnected systems play in making our communities better places to live. 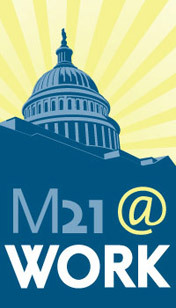 We applaud Mobility 21’s efforts and are proud to support them. Four aging rail bridges in San Diego will be replaced with the help of a recently awarded federal grant. Competing against hundreds of applicants nationwide, the San Diego Association of Governments (SANDAG) won a $14 million federal grant to replace four aging timber trestle bridges in the Los Peñasquitos Lagoon in North County – a critically needed project to improve the reliability of both passenger and freight services in the nation’s second busiest rail corridor. Nationwide, 585 applications from 50 states totaling more than $9 billion vied for $474 million in available funding under the federal TIGER grant program (Transportation Investment Generating Economic Recovery), administered by the U.S. Department of Transportation. The rail bridge project was one of 52 projects selected for funding nationwide. SANDAG has been collaborating with multiple agencies on this project, including the North County Transit District (NCTD), Amtrak, Caltrans, Metropolitan Transit System (MTS) and BNSF Railway. “This shovel-ready project will produce short-term economic benefits by directly or indirectly creating more than 200 jobs. It is also part of a larger modernization program in the North Coast Corridor that will generate long-term economic benefits for the region and the state,” said SANDAG Executive Director and Mobility 21 Advisory Board Member Gary Gallegos. “This work will help ensure that this vital rail line is kept in a state of good repair for the 2.7 million intercity passengers who depend on it each year,” said NCTD Executive Director Matthew Tucker. Part of the Los Angeles-San Diego-San Luis Obispo (LOSSAN) rail corridor, the four timber trestle bridges spanning Los Peñasquitos Lagoon date back to the 1920s and 1930s. They are either at the end or nearing the end of their lifespans and require frequent and costly maintenance. Each year about $310,000 is spent on the upkeep of these structures. If the rail bridges are not replaced, the speed limit for trains in the area may have to be reduced from the current 90 mph to 30 mph, which would dramatically affect travel time, on-time performance, and ridership for millions of riders. Amtrak’s intercity rail service, the Pacific Surfliner, shares this rail corridor with the COASTER commuter service operated by NCTD, and the Metrolink commuter service operated by the Southern California Regional Rail Authority. The full cost of the project is estimated to be about $25 million. The TIGER grant will be combined with other funds that have already been identified. The final design for the project is complete, and all permits have been secured. The project is ready to be advertised for bid as early as fall 2013. With so much changing these days in the world of asphalt pavements, what you don’t know could cost you. Don’t miss this opportunity to learn about the latest developments in the world of green asphalt technology, best practices, specifications, real-world projects and more. 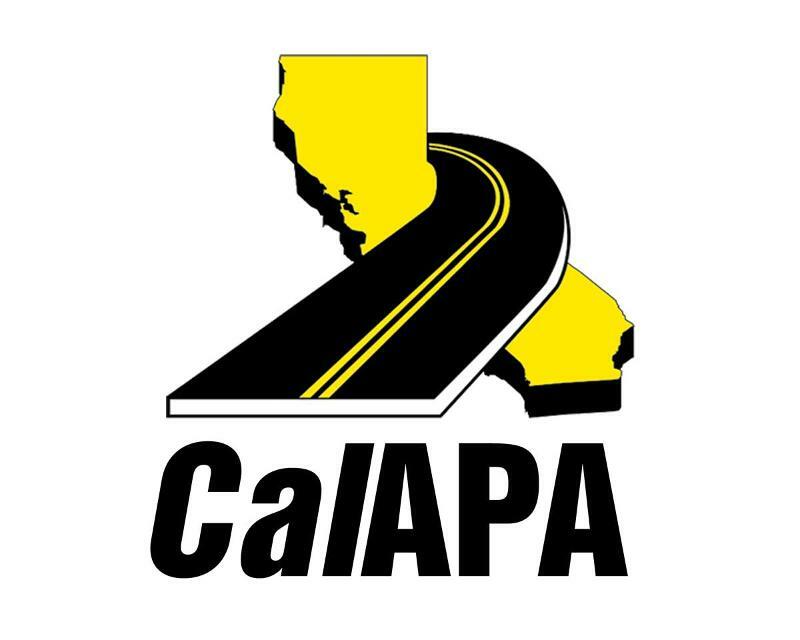 This conference will feature comprehensive technical information presented by noted industry experts, including representatives from Caltrans, the University of California and the National Asphalt Pavement Association. The Self-Help Counties Coalition is excited to present the 24th Annual Focus on the Future Conference, taking place Nov. 17-19 at the Westin San Diego. 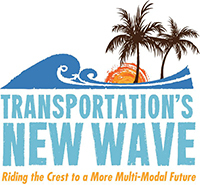 The Focus on the Future conference provides a forum for self-help counties and other transportation agencies, elected officials and the private sector to share experiences, highlight upcoming projects and interact in a relaxed environment. Each year, the conference attracts more than 650 people.